Asked during an interview whether he would keep John Kelly in his post through 2020, the president offered only that "it could happen"
White House Chief of Staff John Kelly watches as President Donald Trump speaks during a signing ceremony for the "Cybersecurity and Infrastructure Security Agency Act," in the Oval Office of the White House, Friday, Nov. 16, 2018, in Washington. President Donald Trump isn't committing to a previous pledge to keep chief of staff John Kelly for the remainder of his term, part of widespread speculation about staffing changes that could soon sweep through his administration. "There are a couple of things where it's just not his strength. It's not his fault. It's not his strength," said Trump, who added that Kelly himself might want to depart. 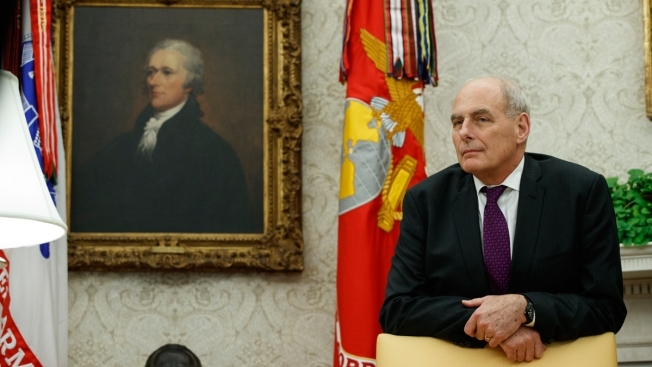 Asked whether he would keep Kelly in his post through 2020, the president offered only that "it could happen." Trump had earlier pledged publicly that Kelly would remain through his first term in office, though many in the West Wing were skeptical. Trump said he was happy with his Cabinet but was thinking about changing "three or four or five positions." One of them is Homeland Security chief Kirstjen Nielsen, whose departure is now considered inevitable. Trump said in the interview that he could keep her on, but he made clear that he wished she would be tougher in implementing his hard-line immigration policies and enforcing border security. The list of potential replacements for Nielsen includes a career lawman, two military officers and former acting U.S. Immigration and Customs Enforcement head. 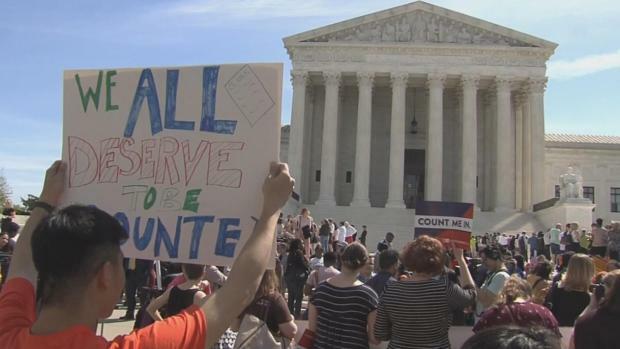 But her eventual replacement will find there's no getting around the immigration laws and court challenges that have thwarted the president's agenda at every turn — even if there's better personal chemistry. Trump also discussed the removal of Mira Ricardel, a deputy national security adviser who is being moved to another position in the administration after clashes with the East Wing culminated in an extraordinary statement from first lady Melania Trump that called for her removal. 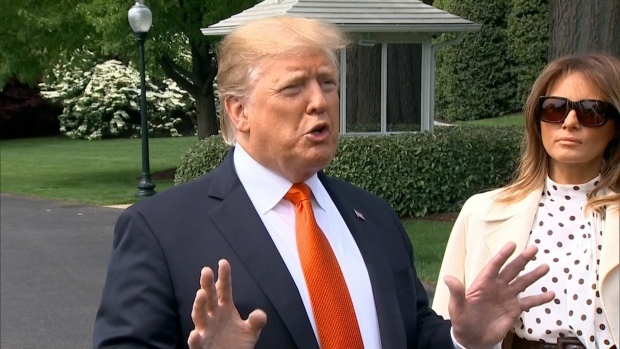 The president said Ricardel was "not too diplomatic, but she's talented" and downplayed the idea that his wife was calling the shots in the White House. "(The first lady's team) wanted to go a little bit public because that's the way they felt and I thought it was fine," Trump said. He also dismissed a series of reports that he had been fuming in the week after the Democrats captured the House, claiming instead that the mood of the West Wing was "very light." — He said he "would not get involved" if his choice for acting attorney general, Matt Whitaker, decided to curtail special counsel Robert Mueller's investigation into 2016 election interference and possible ties between the Trump campaign and Russia. Whitaker was previously a fierce critic of the probe, and Democrats have called for him to recuse himself from overseeing it. Trump said that "It's going to be up to him" and that "I really believe he's going to do what's right." — He downplayed a federal judge's decision to restore CNN reporter Jim Acosta's White House press pass but derided an alleged lack of "decorum" among reporters who cover the administration. Trump also reiterated that the White House was going to write up rules of conduct for reporters at news conferences, adding, "If he misbehaves, we'll throw him out or we'll stop the news conference." — He also defended his incendiary attacks on the press, which include labeling reporters the "enemy of the people," a phrase more closely associated with authoritarian regimes. Trump suggested that his interviewer, Chris Wallace, was no "angel," and bristled when the host from Fox News, which generally gives him favorable coverage, said that the media was in "solidarity." Trump declared, "I am calling fake news, fake reporting, is what's tearing this country apart because people know, people like things that are happening and they're not hearing about it."